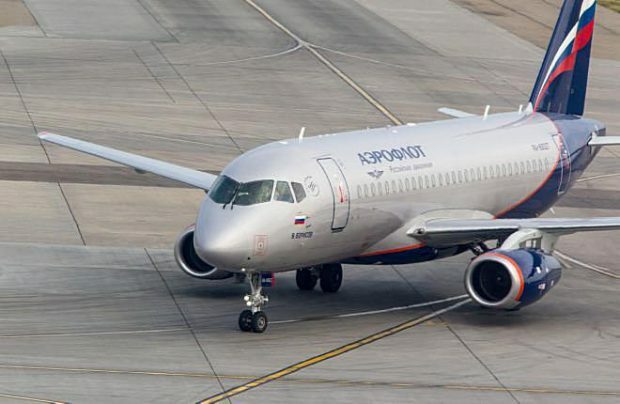 A-Technics, a Moscow, Domodedovo-based provider of aircraft maintenance, repair and overhaul (MRO) services which operates mostly for member airlines of the Aeroflot Group, is preparing to add Sukhoi Superjet 100 (SSJ100) capabilities to its portfolio. Although currently silent about its plans, the company has posted a tender on a procurement web portal for the training of its technical staff for the Superjet 100, as well as for the PowerJet SaM146 engine which powers the type (B1, B2). The 2.9 million rubles training contract was won by Chkalov Aviation Technical College in Yegorevsk, Moscow region. Once training is completed, the group of 26 mechanics will be rated as airframe and engine or avionics technicians for the type. Since all SSJ100s operated in Russia are placed on the national register, the provider needs to obtain FAP-285 approval from Russia’s aviation authorities. Aeroflot’s fleet of SSJ100s, which currently numbers 45 aircraft, are maintained by the airline’s in-house MRO facility. The aircraft are based at Moscow’s Sheremetyevo, where A-Technics reportedly had plans to open a line station. The maintenance provider is entering a crowded market. S7 Technics, Russia’s largest independent MRO services supplier, has also recently launched SSJ100 line maintenance services at Sheremetyevo, as has Volga-Dnepr Technics Moscow. A dozen other Russian companies hold approvals for providing continued airworthiness for the type. A-Technics was launched in December 2015 at the premises of Transaero’s technical facilities after the demise of the big airline. It currently maintains Airbus and Boeing aircraft, mostly for Aeroflot and sister carrier Rossiya Airlines.